Thinking about your next car? The new Suzuki Swift will make the perfect motoring companion when it comes to tackling the roads of the UK and any adventures abroad that you may have planned. Lucky for you, we have models ready to order here at Motorparks. First impressions always count, and the new Suzuki Swift boasts a compact style which will definitely welcome many envious looks on the road. The new Suzuki Swift, the dynamic and powerful supermini is available now from Motorparks Suzuki and Invicta Motors Maidstone Suzuki. If you're ready to hit the road like never before, the new Suzuki Swift will be there to assist. The new Suzuki Swift offers two petrol engine choices that will take your driving to the next level, including the 1.2 Dualjet and the 1.0 Turbocharged Boosterjet which are perfect for efficient fuel use. The addition of the SHVS Mild Hybrid however helps reduce CO2 emissions and runs at a much lower cost. The question is, which will you be taking home? Beautiful inside and out, the new Suzuki Swift offers a pristine look that glides blissfully across the roads sporting a light weight design. Its muscular edges and simple design make it the perfect buy for anyone in the market for a new set of wheels. The car's exterior shouts dominance on the road and is the perfect city runabout. With a compact build that champions a sleek design, the strong body lines and the honeycomb car grille adds definition to the build of this five-door ride. If you're a sucker for a good interior, look no further than the new Suzuki Swift. Although the car looks compact from the outside, the inside space is much bigger than you may think and even sports 265 litres of boot space. Benefit from the leather D-shaped steering wheel that offers more leg room. You won't be short of technology when you're getting used to the new Suzuki Swift. No car is complete without technological aspects that help keep drivers entertained no matter the journey. The new Suzuki Swift includes the ultimate touchscreen with Bluetooth hands-free phone connectivity, DAB radio, and USBs for your smartphones. There are many ways to make your Suzuki Swift unique to you. Everyone wants to show off their own personality with their car, and this is something that can be achieved with the new Suzuki Swift. Offering 10 colours options including three dual-tones to choose from, you'll undoubtedly find something that suits your style. 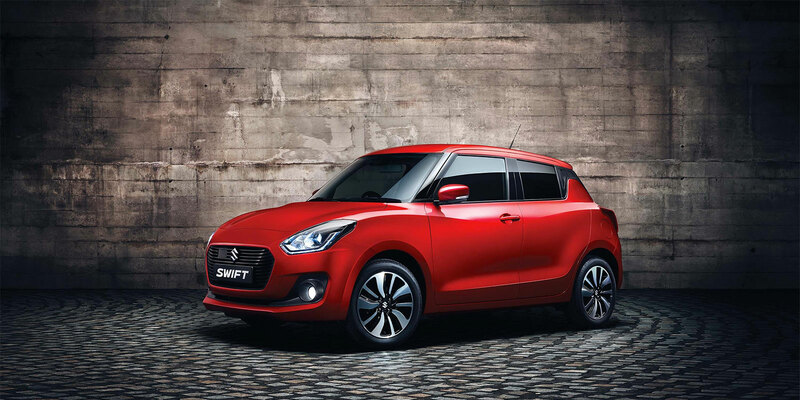 Interested in learning more about the new Suzuki Swift? Visit us at our Invicta Maidstone Suzuki dealership - part of the Motorparks family.